Science and engineering come together with art and creativity at the annual Maker Faire Rochester. This year more than 150 makers will gather and showcase their inventiveness and creativity, bringing exhibitions, demonstrations, and activities to this family-oriented event. 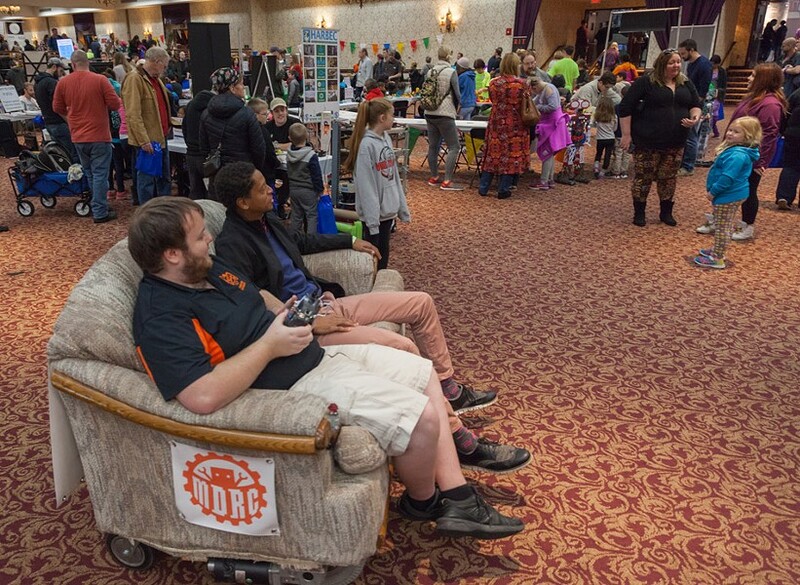 Featured exhibits include Magic Wheelchair, a company that provides free Halloween costumes for kids in wheelchairs; RIT Theme Park Enthusiasts' impressive K'Nex theme park display; and educator Kathy Ceceri, who helped develop challenging robotics projects for the Girl Scouts. Many of the makers will have free activities at their booths, and some will have toys and other goods for sale. Food Trucks will be present on site. The Rochester Maker Faire will take place on Saturday, November 17, from 9 a.m. to 5 p.m. at the Rochester Riverside Convention Center, 123 East Main Street. Tickets are $9 to for individuals and $30 for families of up to two adults and three children ages 5 to 18. Kids under age 5 get in free with a paid adult. rochester.makerfaire.com.